Advertising is a readily available and free resource for craft that is delivered right to your doorstep. Here are 3 ideas for recycling magnetic advertising magnets. 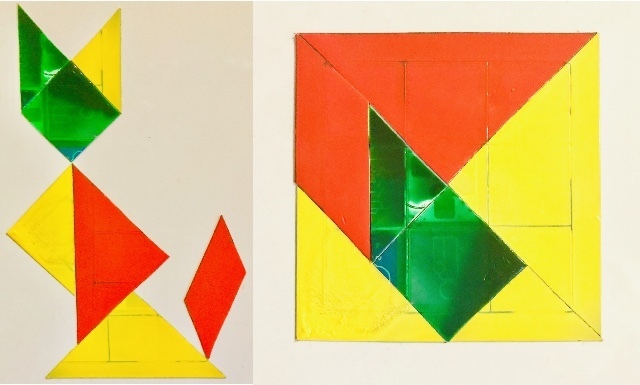 A tangram is a Chinese geometric puzzle where parts of a square can be repositioned to make new shapes and designs. Make your own colourful fridge magnet version out of magnetic advertising. Begin by cutting a square out of one of the larger magnetic advertisements (the larger ones are usually advertisements with calendars). 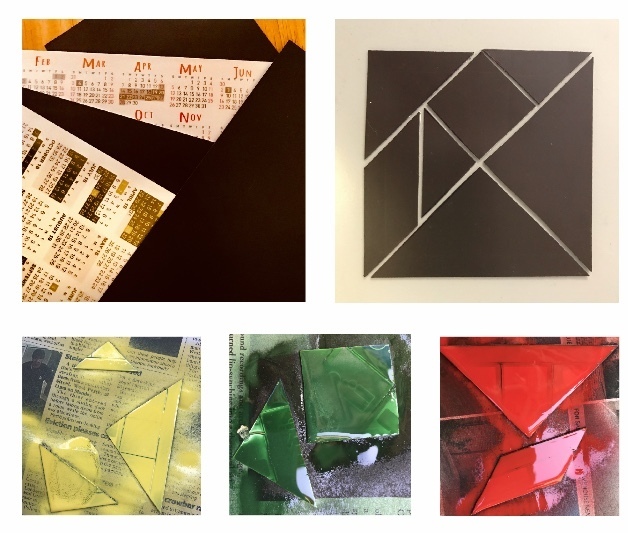 Then, cut the square into the components of the tangram using a pair of scissors. For better results, cut the shapes out using a craft knife and metal rule. Separate the pieces into 3 or 4 groups and spray paint each group of shapes in a different colour. Do not spray paint the back of the shapes. Once the paint has completely dried, use the shapes as fridge magnets and have fun creating new shapes. 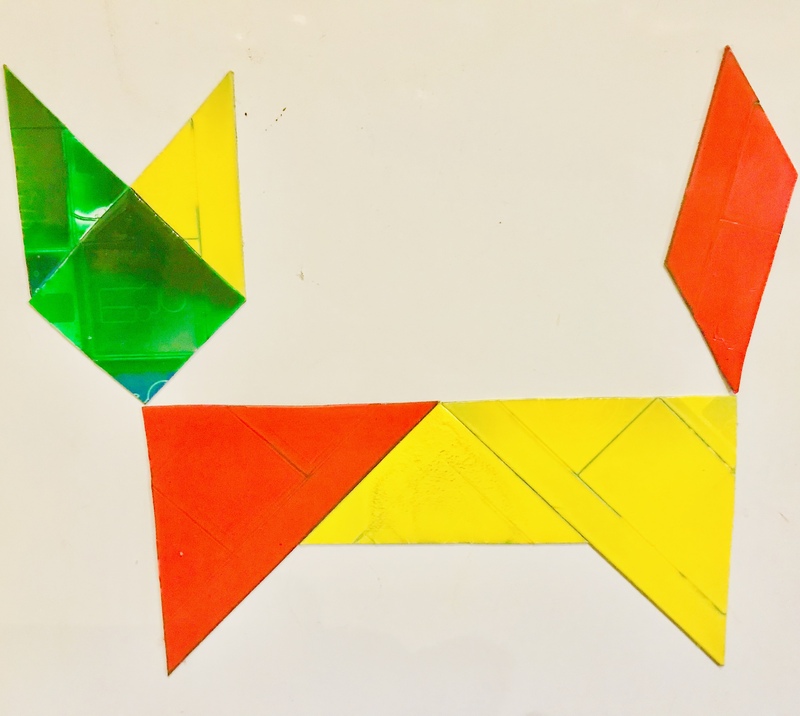 Try making other puzzles and games such as tic tac toe, or a magnetic fishing game (instead of tangram shapes, cut out fish shapes and create a fishing line using string and a paper clip). Adding magnets to the inside of the top edge of your bag will aid in keeping the bag closed. Select 2 magnetic advertisements and check that these are attracted to each other. 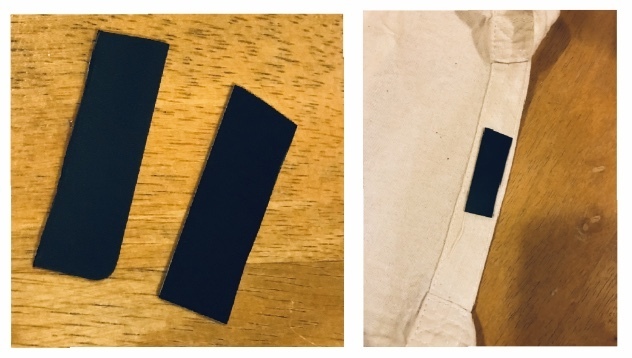 Cut a small strip of each - one for each side of the bag. Iron the inside edge of your tote bag so that it is completely free of wrinkles (this will help the magnets to adhere to the fabric). Make sure that the magnets are dry and clean. Spray adhesive onto the side of the magnet with advertising. Leave the glue to settle for about 30 seconds before fixing the magnet to the inside top edge of the bag. Repeat the process for the other side of the tote bag, making sure that when the bag is closed, the magnet will line up with the magnet on the other side. Create photo fridge magnets using your photographs, old postcards or your favourite images from magazines. Place your magnetic advertisement onto the photo and trace around it with a pencil. Cut the image out and glue it onto the magnet. Once the glue is dry, your photo magnet is ready for use. You can also cut the photo magnet into smaller pieces to create a magnetic jigsaw puzzle. This technique can also be used to create fridge poetry magnets. Simply glue text onto the magnetic sheets and cut each word out. To create a puzzle for teaching fractions, glue an image of a large pizza (from a pizza delivery flyer) onto a magnetic sheet. Once the glue has set, cut out the pizza and the individual slices. There are many more ways of recycling magnetic advertising - you are only limited by your imagination!